You are at:Home»Herbs»Centella asiatica Linn. Latin name : Centella asiatica Linn. Description : It is used interchangeably with Hydrocotyle asiatica. It is also known by the names of Gotu Kola (does not contain cola or caffeine, as its name would suggest), Indian Pennywort, Chi-hsing and Pai Kuo. It has been in use for almost 3000 years in Unani, Ayurvedic and Chinese medicines. It is a classic brain and nervine tonic. It is also adaptogenic, cooling, cardiotonic, stomachic, carminative, mildly diuretic, febrifuge, antirheumatic, sedative and peripheral vasodilator. It contains many nutrients that support the body’s vitality and feed the nervous system, including vitamins A, B, E and K, and magnesium. Brahmi is considered the main rejuvenating herb for nerve and brain cells and, therefore, has played a very important role in Ayurvedic therapies for the treatment of cognitive disorders of aging. Countless studies have shown Brahmi helps improve protein activity and protein synthesis, especially in brain cells, which can increase intelligence, longevity and memory and decrease senility and aging. It has tranquillising effects but, unlike synthetic sedatives which often have side effects of dulling the mind, it actually improves mental clarity. 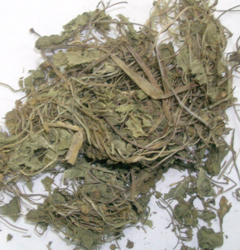 It is also used as an antianxiety agent, to calm restlessness in children, and to cure several mental disorders. It is most commonly used as a nervine tonic that enhances learning and academic performance, improves mental alertness, sharpens short-term and long-term memory, rectifies speech disorders, increase concentration and intellectual ability in children. Brahmi is also useful in skin diseases like chronic and persistent eczema, chronic ulcers and syphilitic sores. It is also useful as an antidote to cholera and in bronchitis, asthma, constipation, gastric trouble, fevers, hepatitis, catarrh, leucorrhoea, kidney troubles, urethritis and oedema. It has been shown to support the blood vessels and help lower blood pressure with regular use. This helps reduce the frequency and severity of chronic venous insufficiency and the development of varicose veins. The plant also has tranquillising, anabolic, antiprotozoal and spasmolytic properties. It is now also considered to have an antiinflammatory effect and is given for rheumatism, rheumatoid arthritis poor venous circulation in the legs. It is also an effective remedy in the early stages of dysentery in children. It has been suggested that regular use of the herb can rejuvenate the nervous system and it therefore deserves attention as a possible cure for a wide range of nervous disorders including multiple sclerosis. Is used principally for nervous disorders such as neuralgia, epilepsy and mental illness. Also useful in schizophrenia, hysteria and stress related psychosis by calming the nerves and tranquillising the mind. It is also taken to improve fertility. It is known to thin the blood and, at large doses, it helps to lower blood sugar levels. It is also useful in spermatorrhoea and weakness of heart. Recommended Dosage : 3 to 6 g powder of whole dried herb. Contraindication : This herb is contraindicated during pregnancy and lactation.